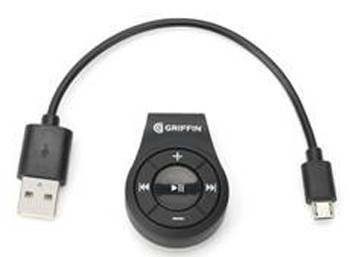 Griffin Technology has released the Griffin iTrip Clip Bluetooth Headphone adapter, converting any set of ear buds or headphones to wireless Bluetooth compatible headphones. Available from JB Hi-Fi at $34.95, the Griffin Bluetooth Headphone Adapter is a simple yet powerful solution for every iOS and Android mobile user who desires a wireless audio experience. Featuring set-and-forget configurations, the adapter also automatically connects with paired devices, helping your existing headphones become an ideal companion to smartphone devices without a headphone jack, including Apple's iPhone 7 range and the Lenovo Moto Z series. For further information, please visit Griffin Technology website http://www.griffintechnology.com or follow the conversation via #GriffinTech.